Watch the reaction when this raccoon learns how to summersault… Now he JUST can’t stop, hahaha!! This raccoon discovers how he can summersault and now he won’t stop doing it… His reaction to learning this new trick? 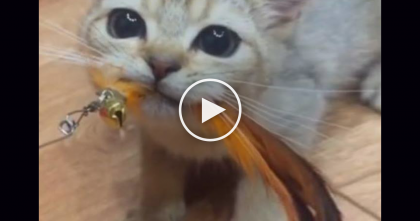 You’ve gotta watch it, it’s just hilarious – He keeps doing it over and over! 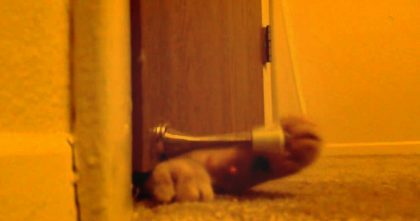 If you keep watching the video, there’s some more hilarious clips about raccoons… I normally ONLY watch cat videos, but I’ve gotta admit, this hilarious video had me cracking up over and over, what funny creatures, LOL!! This funny raccoon will crack you up… Hahahaha!! Just watch the video! 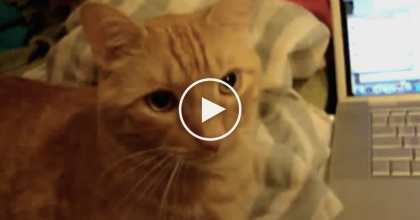 He’s Trying To Type On The Computer, But This Kitty Refuses… What He Does Instead Is ADORABLE!! 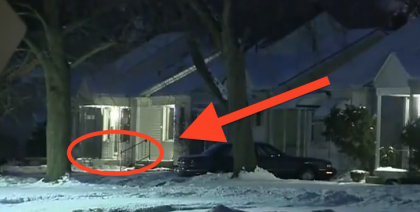 Someone Opened The Door And Saw A Cat FROZEN To The Porch… WATCH How He Survived!! 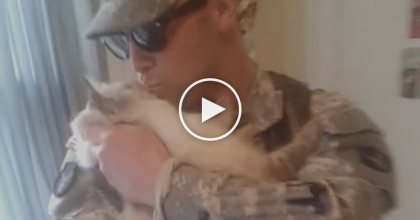 Just Watch This Cat’s Reaction When His Best Friend Soldier Finally Comes Home… Adorable!